A bagging system for efficient handling of waste products and recycling in environments with high volumes of waste and recyclable materials. Available in the Mini, Midi, Maxi series. 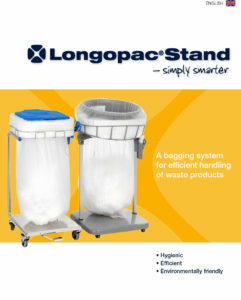 Stylish, practical and user friendly waste solutions for public spaces, popular in the hospitality industry and Horeca sector. 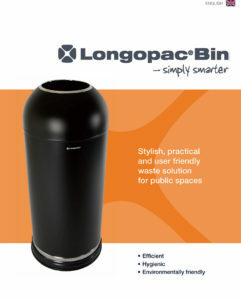 A perfect solution for public environments such as receptions, lobbies and restaurants as the sleek design allows the unique bin system to blend in. 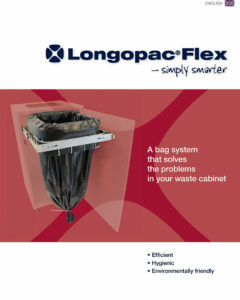 Longo Flex is an adaptable waste management system for waste sorting and waste cabinets, moonrise fitting into existing cabinets and on to walls. 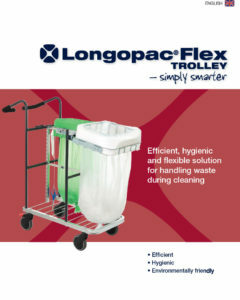 The Flex Trolley is an efficient, hygienic and flexible solution for the Waste Treatment During the cleaning process.